"We as members, train our spirits and bodies according to a strict Code. We as members, comply with regulations and obey instructors." The Yeon Mu Kwan - that is "place of martial striving", was founded by MYUNG Kwang Sik Kwanjanim (1940-2009) in 1968 to preserve the finest Korean martial traditions by regular study and practice. As the name indicates, the group that meets under this banner works to perpetuate these traditions by a program of on-going training and study. In fact the Korean word "kwan" identifies a group which has agreed on a goal and a particular method for acheiving that goal. Unlike many Martial Arts schools the intended result is not a successful business but a safe and respectful place where practitioners can come to develope and improve. At Yon Mu Kwan - Chicago our goal, then, is continuous improvement and growth, and our method of choice is Hapkido - the Korean Art of Self-defense. Just as the Dojang Kun identifies the attitude of kwan members, the Four Endeavors------ Development, Research, Integrity and Service ----- reflect the areas on which kwan members focus their energy to produce a greater good for each other and their community. Development: By agreeing to change, and to greet that change in an organized and fearless manner, a kwan member agrees to do more than simply take circumstances as they are presented. Instead a kwan member seeks to face down his fear of change, accepts that all things are temporary and encourages change for the benefit of himself, fellow kwan members and his community. Integrity: Translating development and research into action requires that a person knopw their place in this effort. Growth of the community, changes in its policies or institutions, or influences on its members cannot be done without a direction. And, this direction cannot be determined without knowing how individuals will relate to the issues. It is the responsibility of the kwan member, then, to make his beliefs known, to stand-by that position and to accept accountability for that position. Through the regular practice of self-defense tha the individual developes the confidence to express their beliefs through their actions, and that their actions proceed directly from their beliefs. Service: The kwan is about a relationship in which members are supported and coordinated through the kwan, and the kwan is respected, supported and promoted through its members. The ultimate purpose of the kwan is to produce a vibrant and vital community where security and safety create an environment for growth and fellowship. In this way, what is good for our members is good for the community. Consistent with the heritage of the kwan, the colors of red ("courage"), white ("virtue") and blue ("fidelity") identify the ideals of the kwan member. 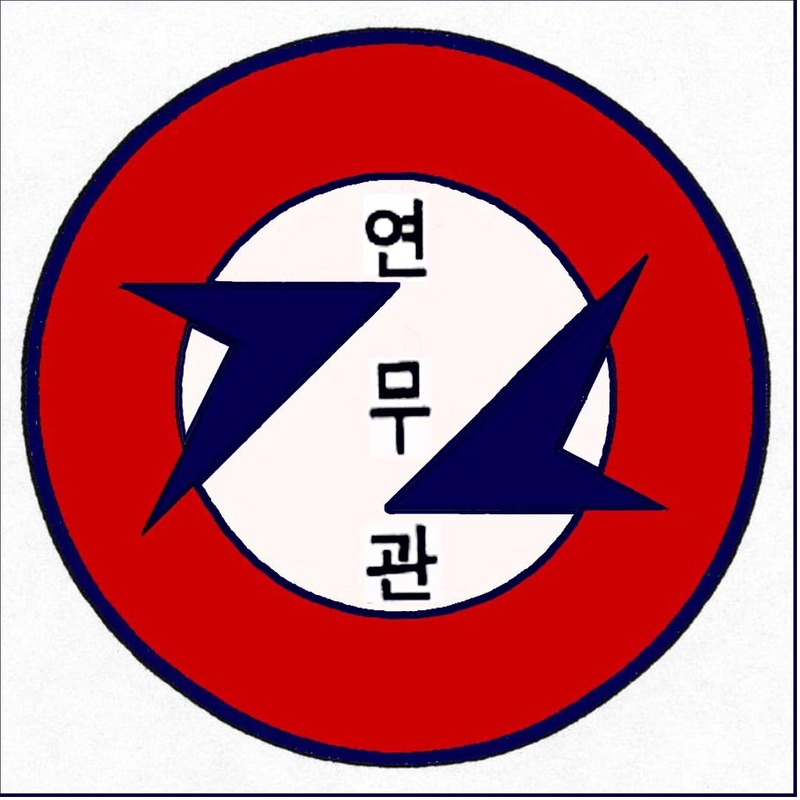 The original Hapkido symbol, with its attendant Korean Han-gul characters speaks, in the lesser manner, to the use of Hapkido in developing ones character and accomplishing ones’ mission. In the larger context, the entire symbol seen in the kwan patch speaks to the promotion of Balance and Harmony by reconciling opposing influences. We are unabashedly proud of our traditional Martial Arts and warmly welcome folks who share our approach or would like to know more about our Korean Martial Arts training. Call us at (708) 421-1907 or drop by the school.